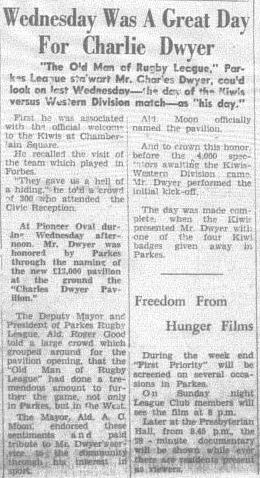 The first international team to play at Pioneer Oval after the Second World War was none other than the mighty All Blacks. 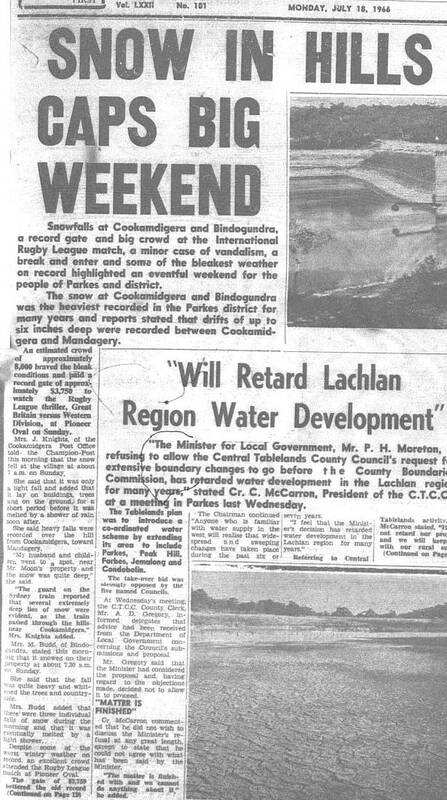 There was genuine excitement having such quality and entertaining sportsmen coming to Parkes. 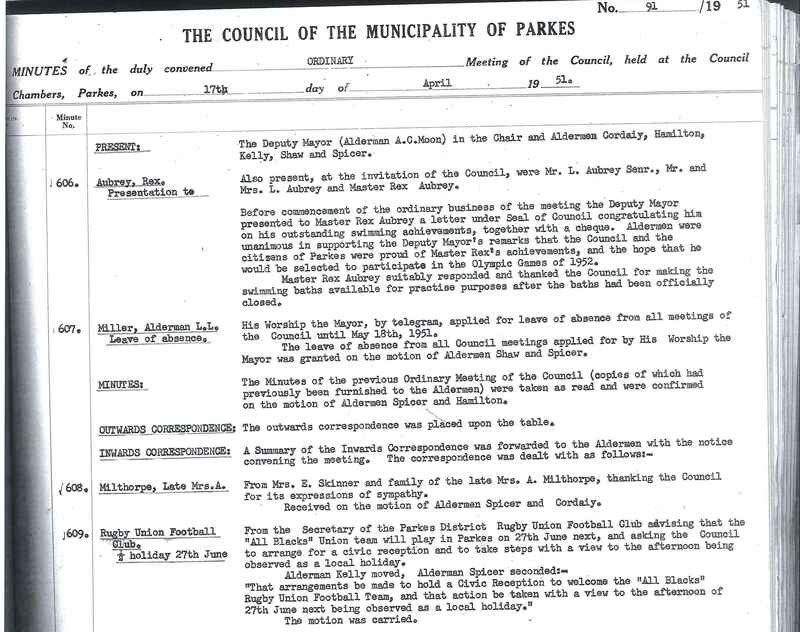 The Parkes District Rugby Union Football Club successfully applied to Council for a half-day holiday on the day the All Blacks were due to play. 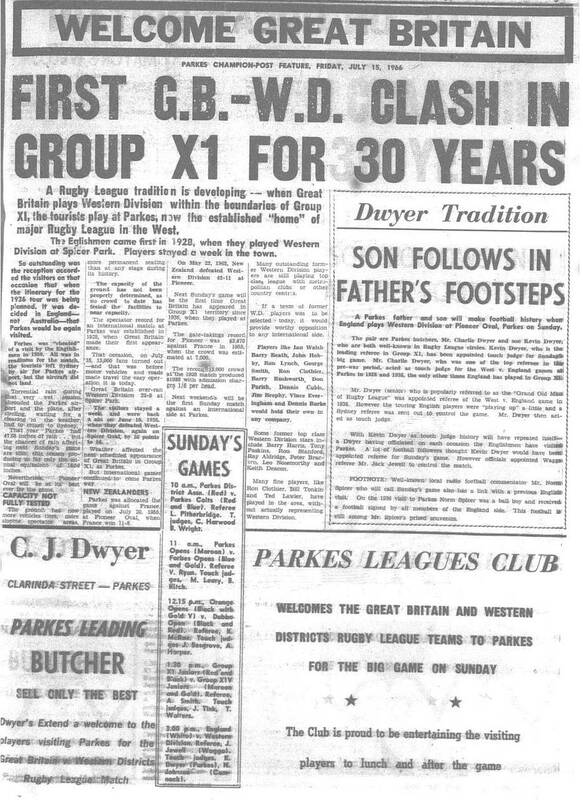 The New Zealand rugby team had defeated the touring British Lions 4-0 in the previous year, and a combined Central West rugby team was not given much of a chance. 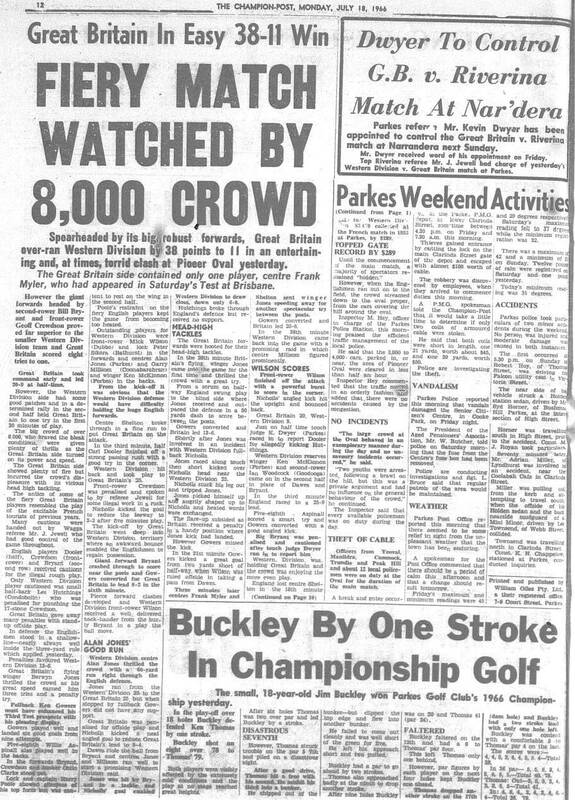 A crowd of 3,549 saw the All Blacks triumph 65-6. 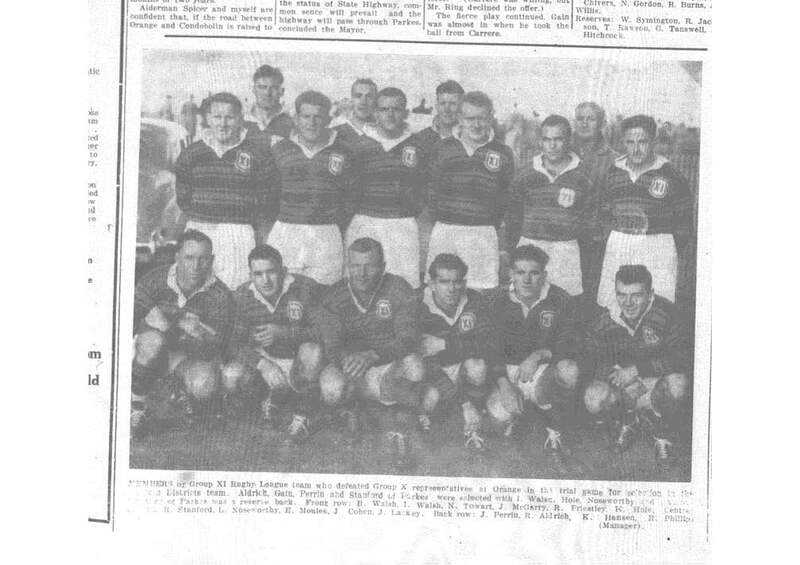 While the final score was lopsided, the Central West team were not in disgrace – the All Blacks played 13 games during their 1951 tour, winning 13 and amassing 375 points and only conceding 86 (tries at this stage were only worth three points). 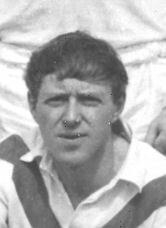 Ron Jarden set a then individual record scoring 6 tries and ten conversions. 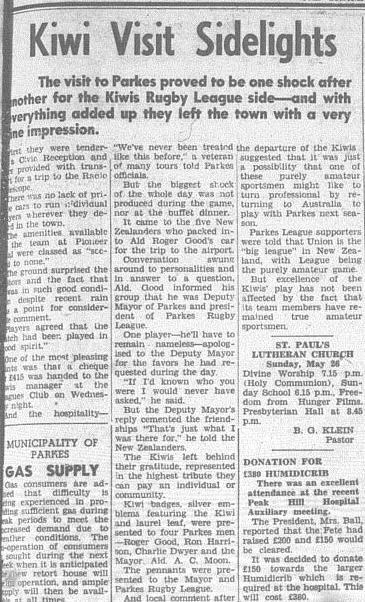 As the local paper reported, many in Parkes declared him the best player in the world of any football code. 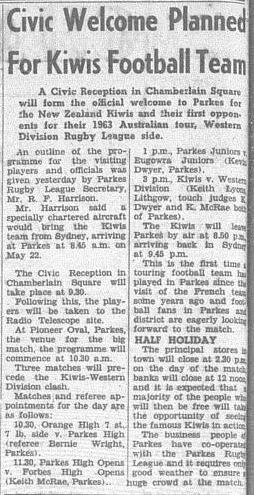 Front page of Parkes Champion Post Thursday June 28, 1951 reporting of the All Blacks visit to Pioneer Oval. 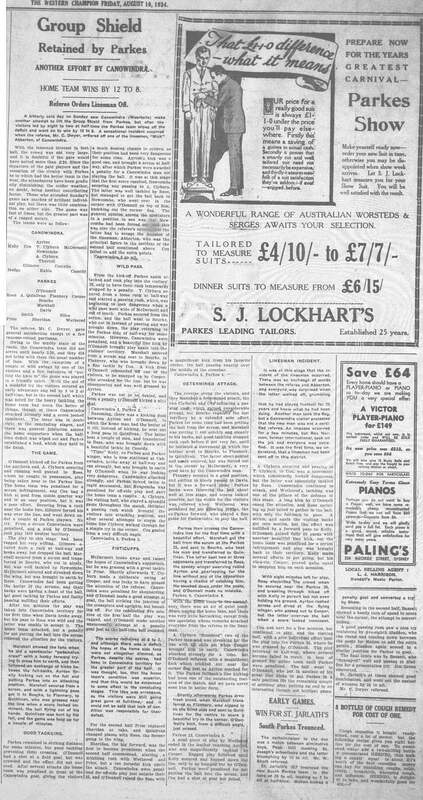 This not only details the match report but also the All Blacks Ball, at Tichborne, and a tour of local farms. Wing three-quarter Ron Jarden. 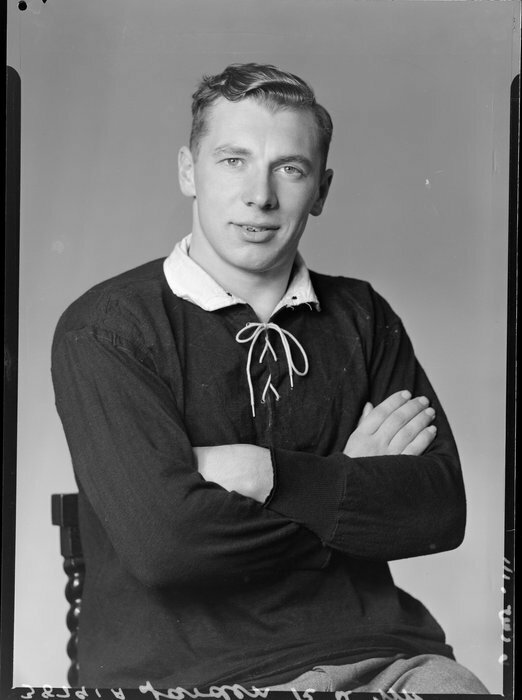 Spectators at Pioneer Oval considered him the best player in the world in any football code. 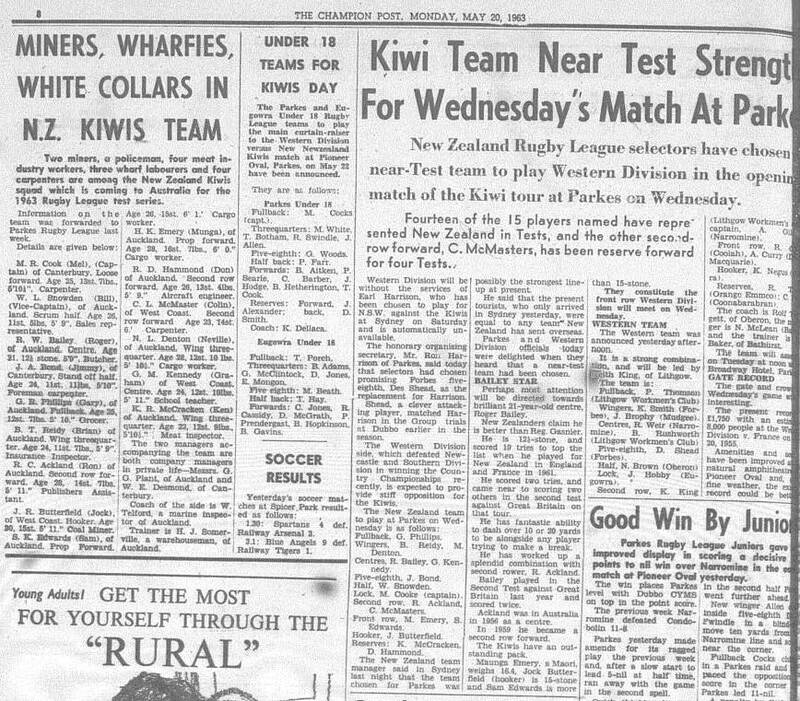 Source: National Library of New Zealand Ronald Alexander Jarden set a then individual record in Parkes, scoring six tries and ten conversions. 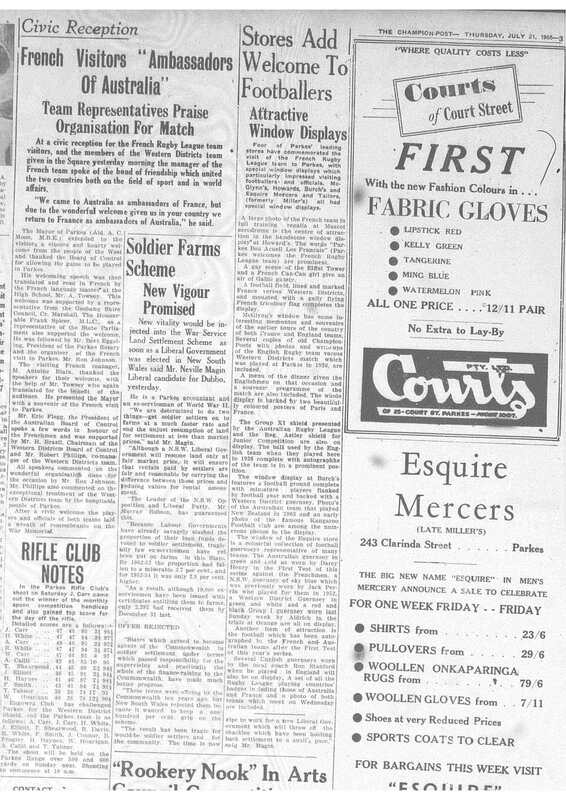 With international teams coming to play at Parkes, concerted efforts were raised to keep the facilities of Pioneer Memorial Oval at the best they could be. 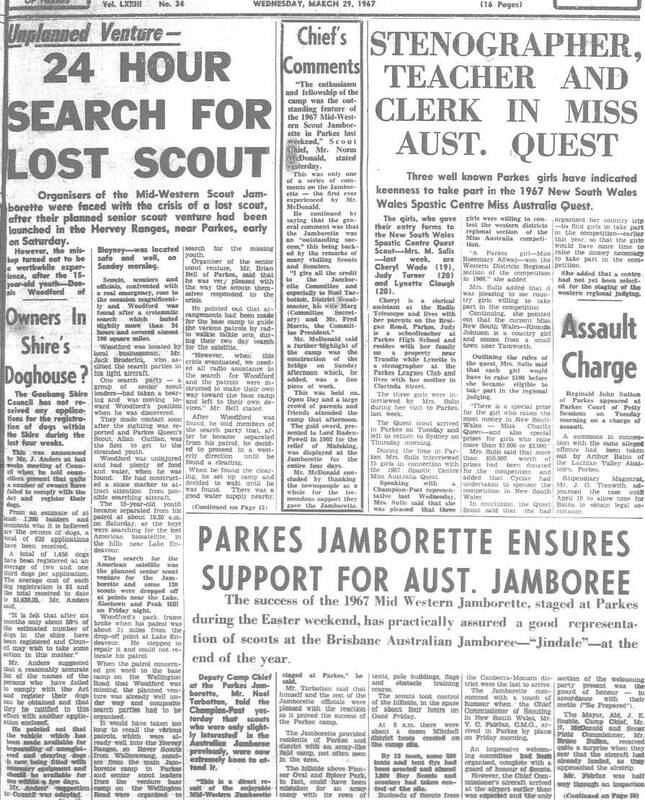 Front page of Parkes Champion Post Thursday July 21 1955. 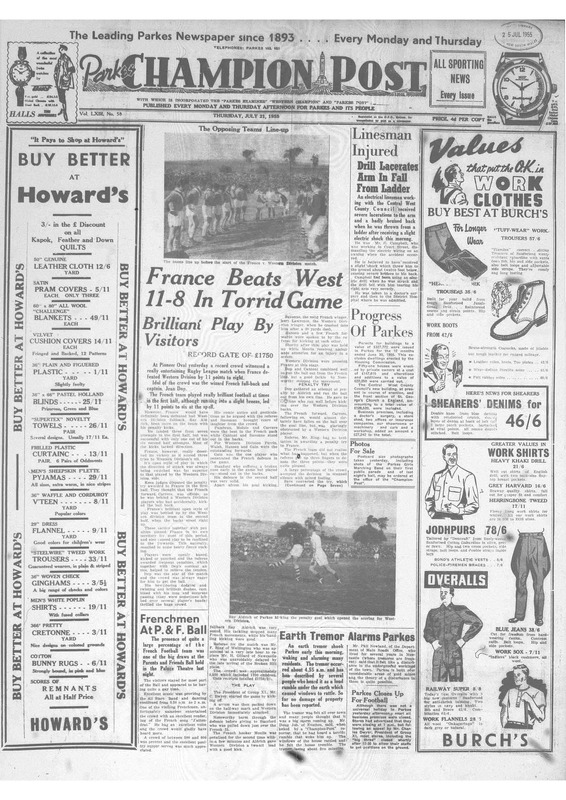 The French visit is part of several reports on this page, including mention of the first time that Parkes Girls Marching Band had performed, prior to the rugby league match. 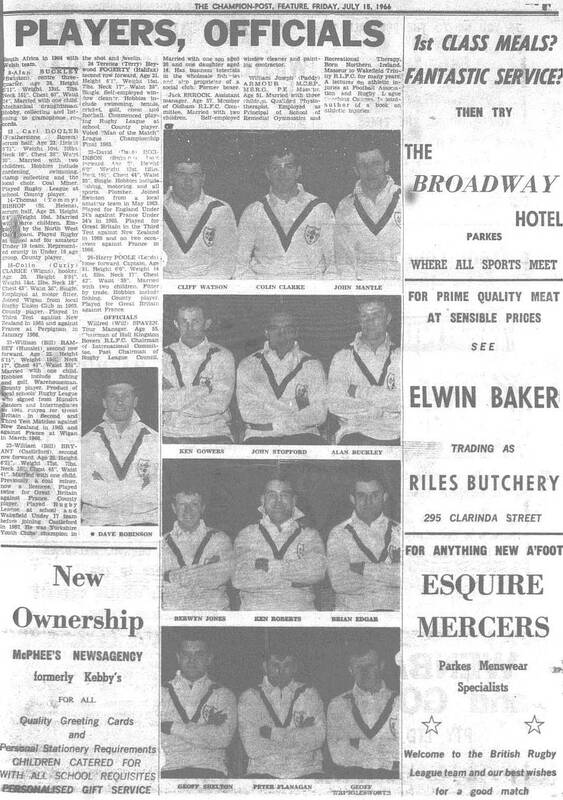 The visit of the French rugby league team was considered a success and enhanced the reputation of Parkes Shire as a place of great hospitality. 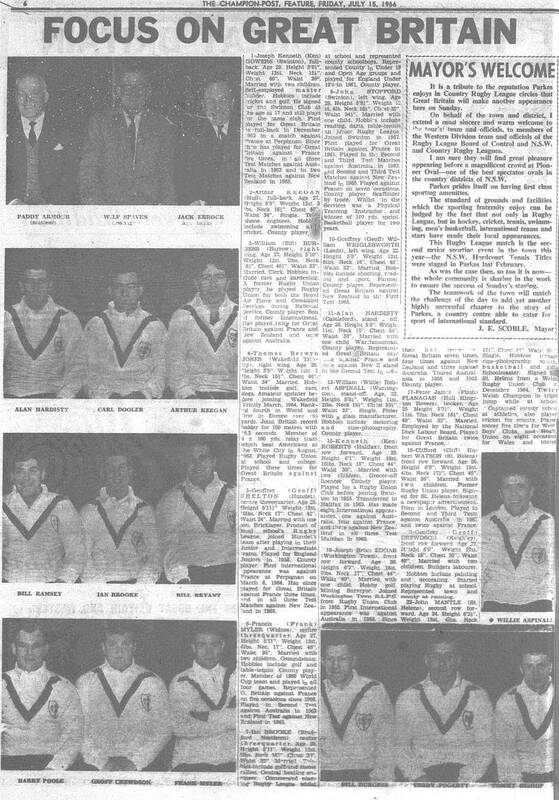 In the space of four years, Parkes had hosted two international teams that many considered world class in their sport. 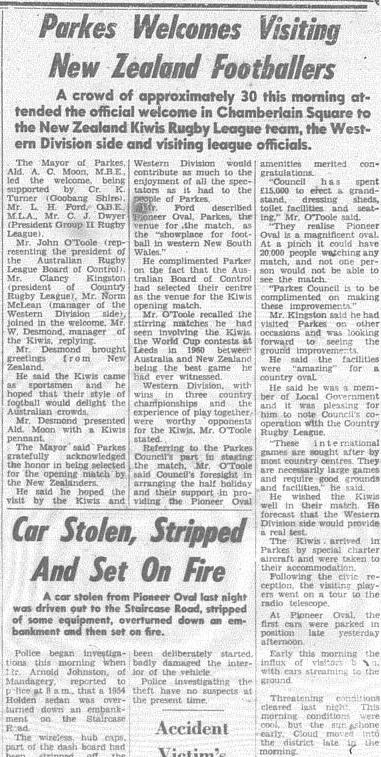 It would be eight years before another “world beater” would play in Parkes again. With improvements needed to keep Pioneer Oval amongst the best regional sporting fields, the Sports Council approached Council to see about adding a kiosk and changing rooms to Pioneer Oval. 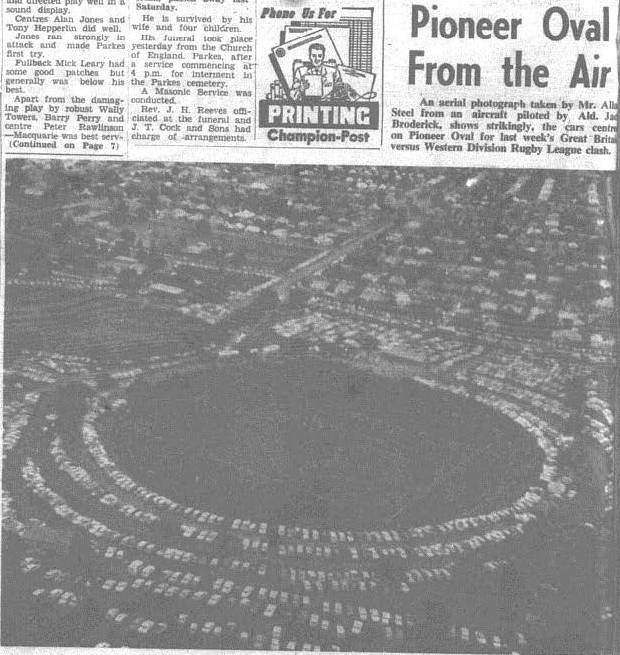 It would allow players from both teams to change at Pioneer Oval, rather than heading to the grandstand at Spicer Park and changing there! 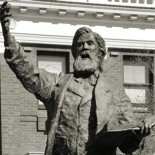 The new building would also allow another stalwart of the sporting community in Parkes to be remembered, Charlie Dwyer. 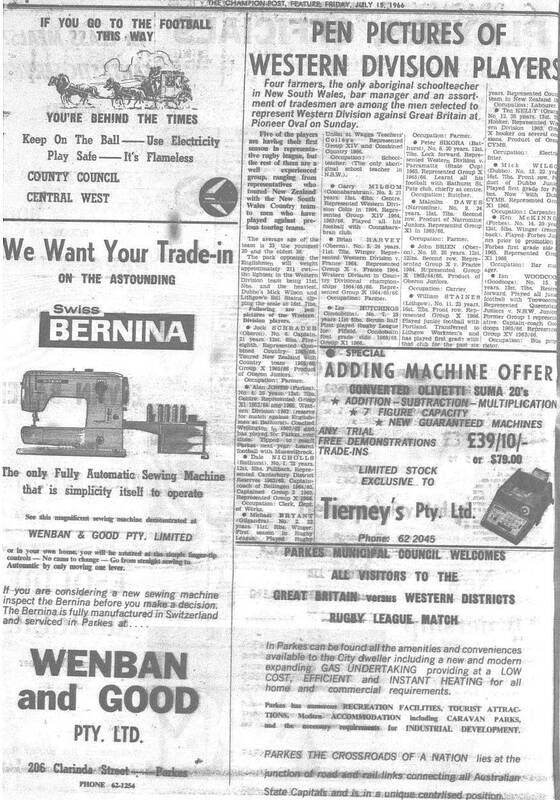 As seems to have become the custom, the improvements would be officially opened with international opposition coming to Parkes. 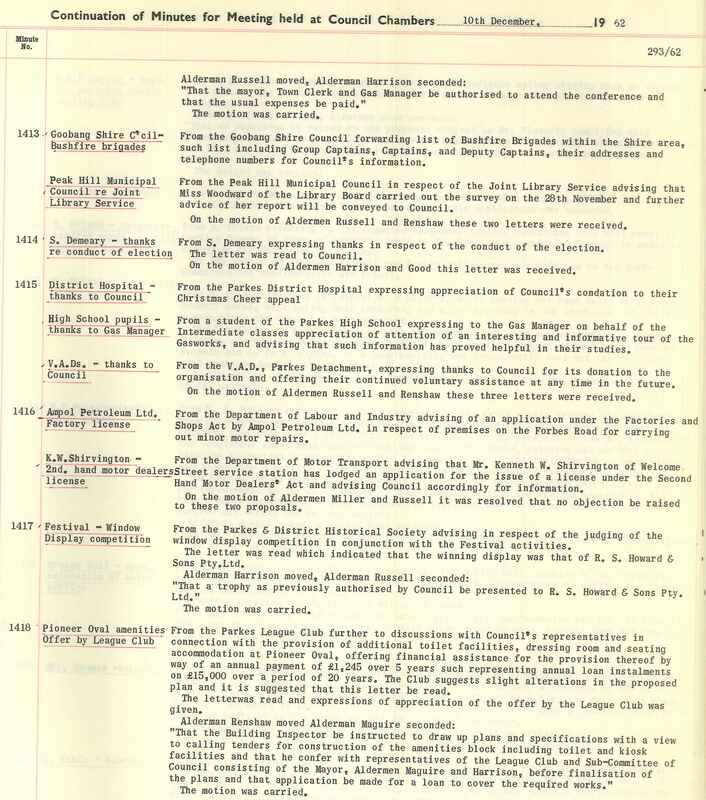 Known as a fair and excellent referee, Charlie Dwyer was also a man of principles and not afraid to stick to those principles even if it resulted in extraordinary outcomes. 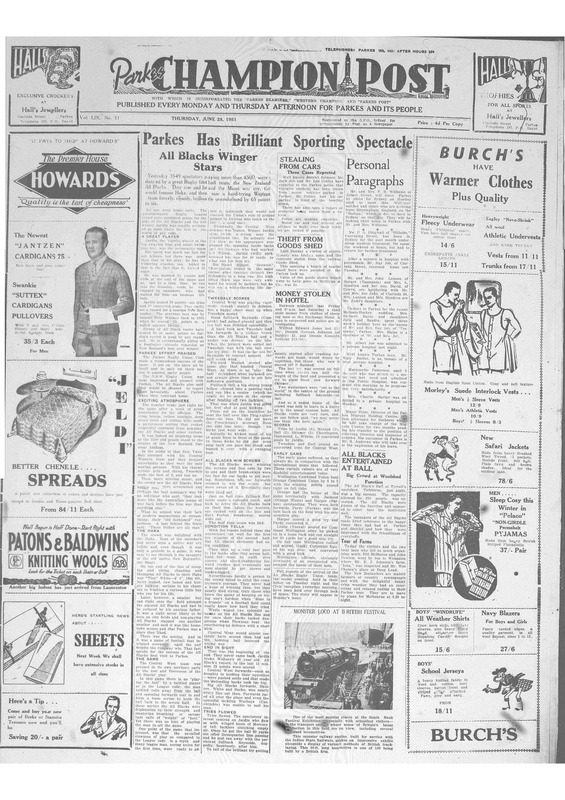 This report, from Western Champion Friday 10 August 1934, states that Dwyer sent off one of his linesmen! 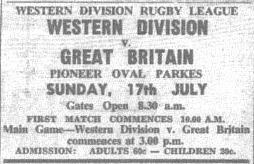 The next team of international superstars to play at Pioneer Oval would be the Great Britain Rugby League team on 17th July 1966. 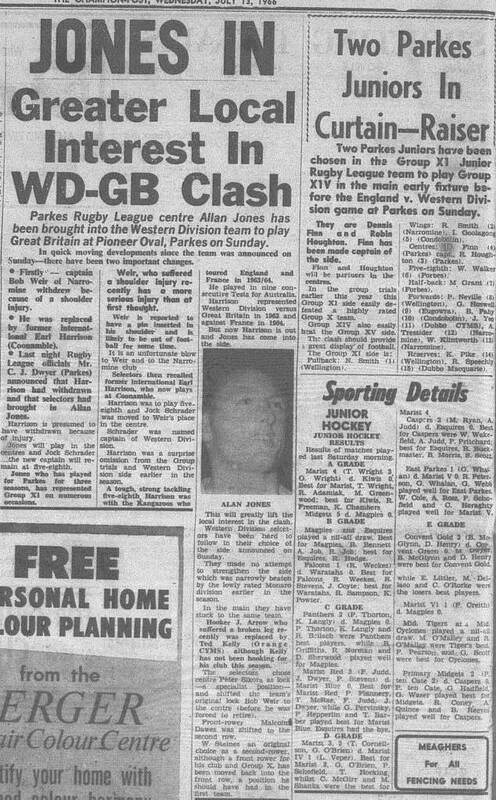 There was a lot of interest in this clash and even a harsh Parkes winter’s day couldn’t deter a large crowd from attending. 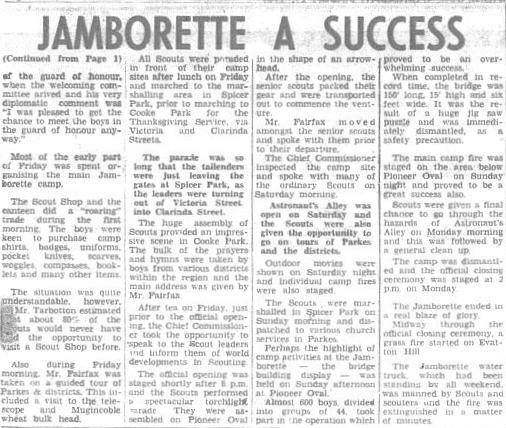 Continuing the versatility of Pioneer Memorial Oval, the Mid-Western Boys Scouts Association held their Jamborette (a smaller version of the nationwide Jamboree) at Easter 1967. 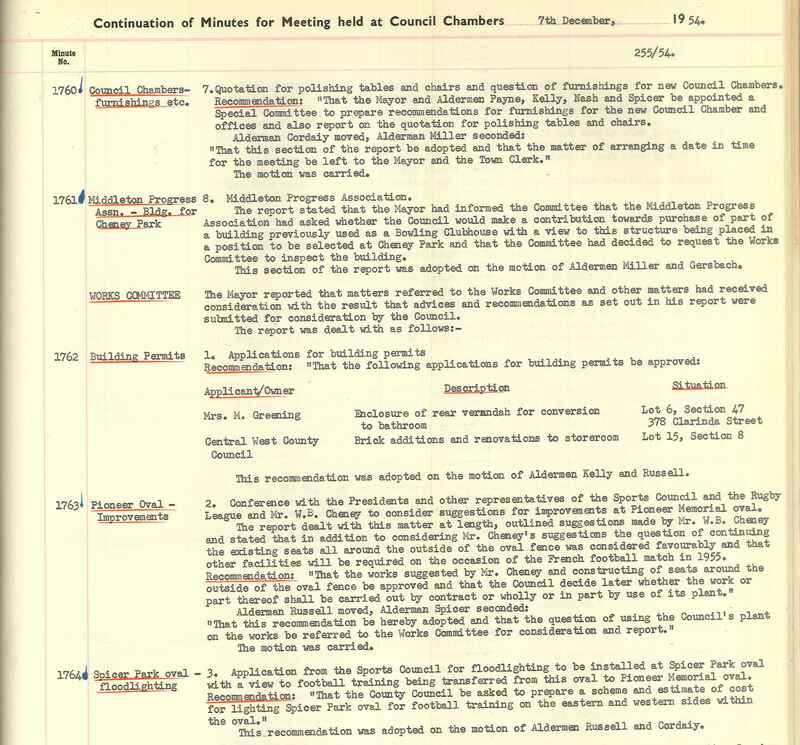 Part of Council’s approval to Pioneer Oval hosting this event was that local boys scouts would assist the Beautification Council in planting trees around Pioneer Oval. 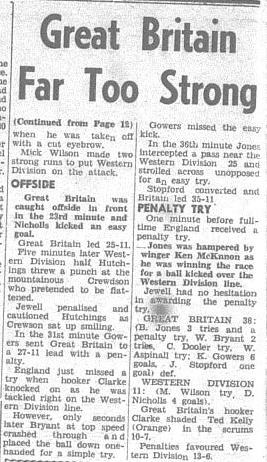 This entry was posted on October 26, 2015 by parkeslibrary in 1950s, 1960s, 1970s, 1980s, 1990s, 2000s, 2010-2015, All Blacks, France Rugby League National Team, Great Britain National Rugby League Team, New Zealand Kiwis and tagged All Blacks, Bernie Maguire, Berwyn Jones, Boy Scouts, Challenge Cup, Charles Dwyer, English rugby league team, famous people of Parkes Shire, football, French rugby league team, Group 11 Rugby League, Jamborette, Jock Colley, Mid-Western Boys Scouts Association, Panasonic Cup, Ron Jarden, rugby league, rugby union, soccer, sporting fields, Tichborne.